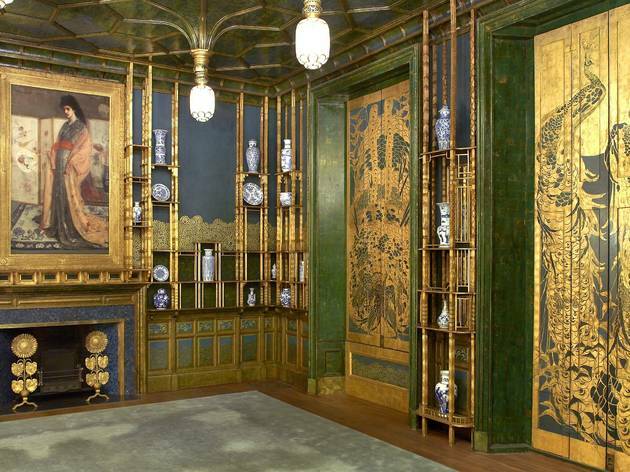 When Detroit business magnate Charles Lang Freer (1854–1919) began collecting the works of American painter James McNeill Whistler in the 1880s, the artist encouraged him also to collect Asian art while on his travels to the Middle and Far East. 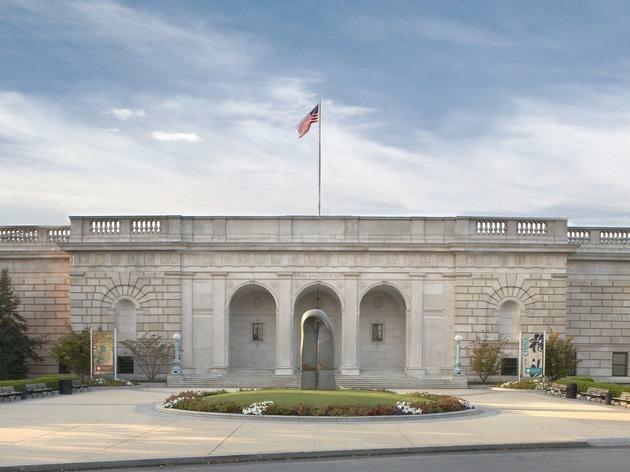 Freer did so, and he eventually amassed Neolithic Chinese pottery, Japanese screens and Hindu temple sculpture, along with works by 19th-century American painters—which included over 1,300 works by Whistler. 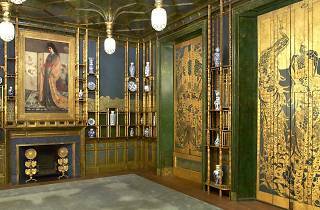 A room interior, the Peacock Room, painted by Whistler in 1876-77, is probably the gallery’s best-known piece. 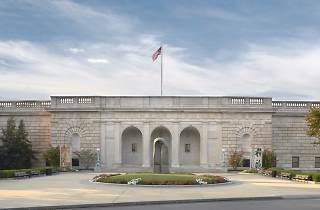 In 1904, Freer offered his collection to the Smithsonian, which commissioned this dignified, gray granite, Renaissance palazzo-style building from architect Charles Adam Platt to house it; it opened in 1923. The collection’s mandate precludes any lending of its 26,500-piece holdings, which are rotated regularly on display. Occasional special exhibitions are small but smart. An underground passage connects the Freer to the neighboring Sackler Gallery.